One Vanderbilt is officially the latest skyscraper in New York City to claim supertall status. Located at 41 East 42nd Street in Midtown East, the imminently 1,401-foot tall office building already soars above Grand Central Station, and new steel columns continue to sprout along the perimeter and core, having now punctured the 1,000-foot mark. Designed by Kohn Pedersen Fox, the upcoming 58-story tower is being developed by SL Green and will span 1.75 million square feet. Currently, the building is only several floors away from reach the first major setback. From there, the walls begin to radiate towards the center and form the sloped, tiered crown topped with an architectural spire. This upper section will be illuminated at night. The facade is continuing to rise on all sides, and should soon be substantially more visible from far away. 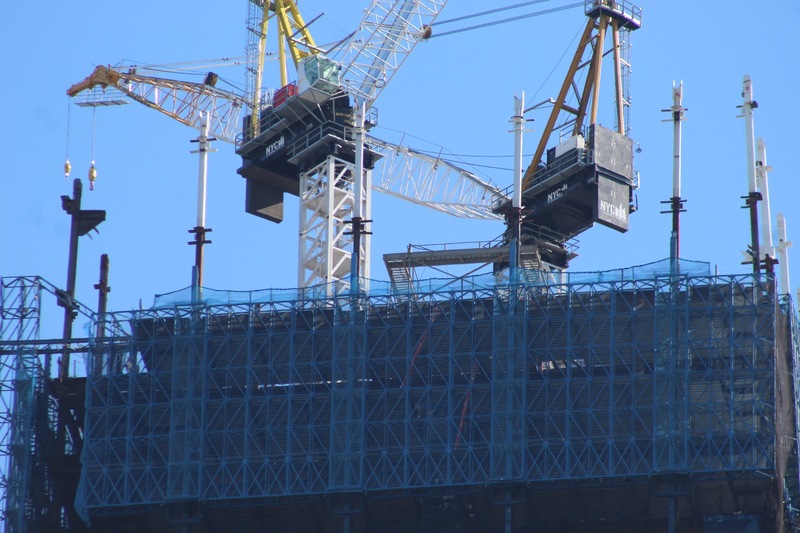 With the pace of construction and assemblage, One Vanderbilt should top out as early as mid summer. Upon completion, it will dominate the neighborhood with its signature crown. 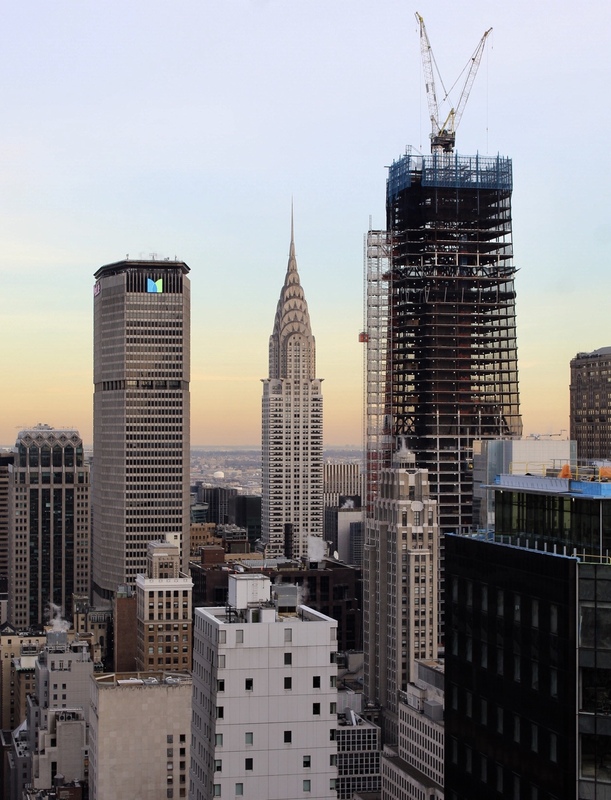 Viewers from the top of the Rockefeller Center will easily see One Vanderbilt, the Empire State Building and the Chrysler Building peak over the Midtown skyline. 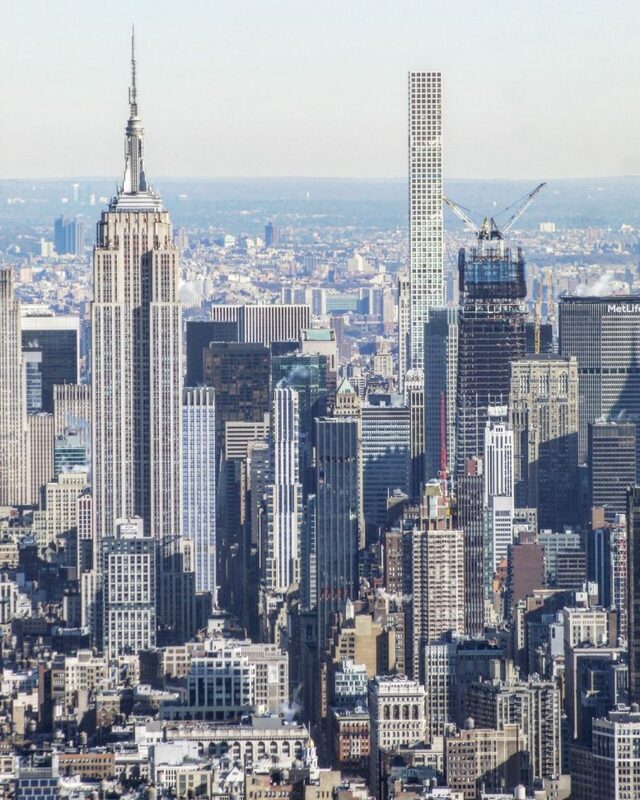 However, with the Midtown East Rezoning now beginning to affect the skyline, One Vanderbilt’s prominence may one day be encroached upon by at least two other new supertalls. 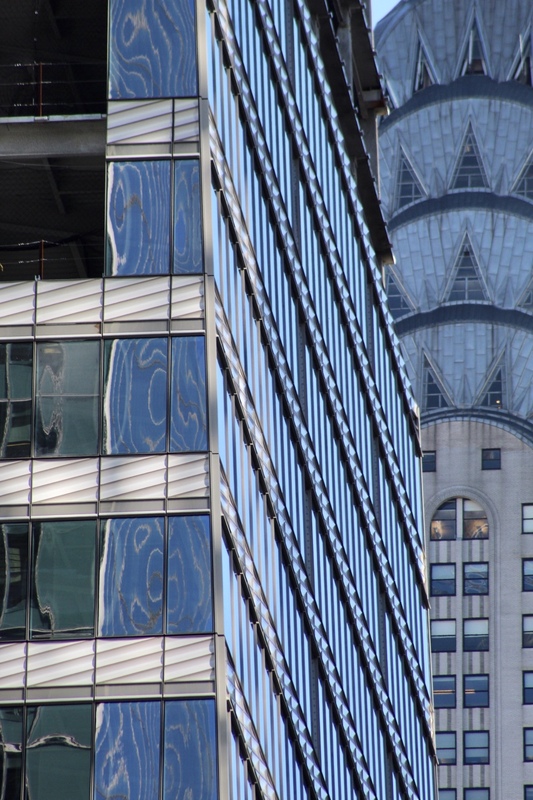 The first is an office building at 270 Park Avenue that could soar 1,560 feet. Foster + Partners Architects is designing the project, with no official renderings released yet. Demolition of the existing building is expected to wrap up next year with completion of the new building around 2024. The next is Harry Macklowe’s “Tower Fifth” at 5 East 51st Street. If built and completed, it would rise 1,556 feet, making it the tallest skyscraper in New York City by roof height. A proposed cantilevering observation deck would take the title as the highest outdoor observation deck in the city. Regardless of height and status, these projects show the relentless pace of construction that New York City has seen that should continue to add to the verticality of its famous skyline. 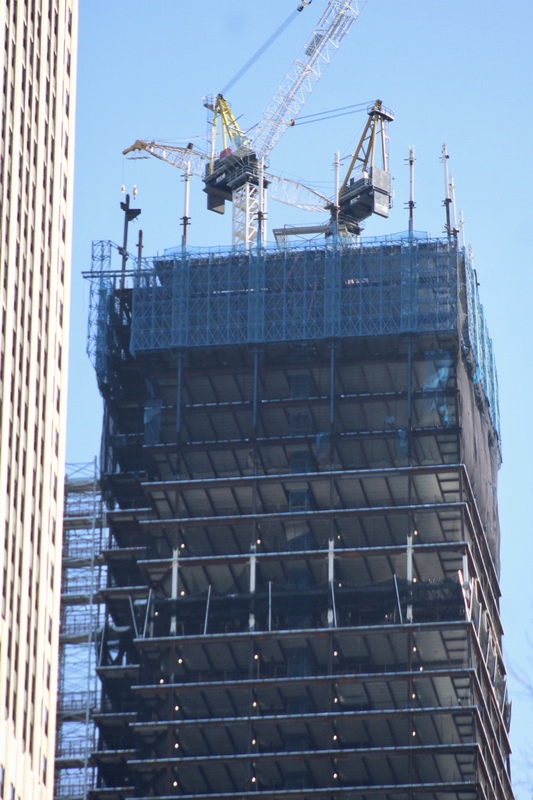 One Vanderbilt is expected be completed sometime next year. 12 Comments on "One Vanderbilt Reaches Supertall Territory Above Midtown East, Manhattan"
Please pardon my using of your space: this big boy is about to get some neighbors. This is inhumane to put everyone those crazy tall buildings. You wish they would put you in here. Don’t pardon me for any use of anyone’s space. What an inane concept. Its quite unfortunate this wasn’t taller. It will soon be overshadowed. Great photo at the top. What a city. Just saw it rise above the Pennsylvania Hotel from my living room. I live in Penn South and since I moved in I’ve seen over thirty buildings rise up from my couch. That’s in 18 years. It’s Grand Central Terminal (not Station).